The following press release was issued by Stanford Out of Occupied Palestine, a coalition of 19 campus organizations including the Black Student Union, MEChA, and Students for Justice in Palestine. Tonight the Stanford Undergraduate Senate will be voting on a resolution calling for divestment from companies violating human rights in occupied Palestine. The letter has been released in solidarity with a petition and resolution organized by Stanford Out of Occupied Palestine (SOOP), a coalition of 19 campus organizations including the Black Student Union, MEChA, and Students for Justice in Palestine. The faculty statement comes at a time of unprecedented student support for divestment — over 1,600 students have signed the petition. In formulating its campaign, the student-led grassroots movement, SOOP, has sought to understand implications of international law and intersections of human rights violations. Students within the group have engaged in extensive educational outreach within the campus community by hosting a town hall, canvassing student residences, and organizing several publicly open events. Students have asked the university to abide by the code of conduct outlined within its guiding practices and principles. A May 2014 SEC filing reveals that Stanford may not be fully upholding its code of ethics. The filing indicates Stanford has direct investments in Raytheon – a corporation that provides missiles and cluster bombs to the Israeli Defense Forces (IDF) that have been used in acts that Amnesty International, Human Rights Watch and the United Nations have described as collective punishment. The campaign highlights three criteria: illegal infrastructure of the occupation, such as settlements and the wall; collective punishment in the form of home demolitions and military campaigns against civilian populations; and state sanctioned repression, such as mass incarceration and use of force against protesters. This last criteria also highlights state violence in the United States. 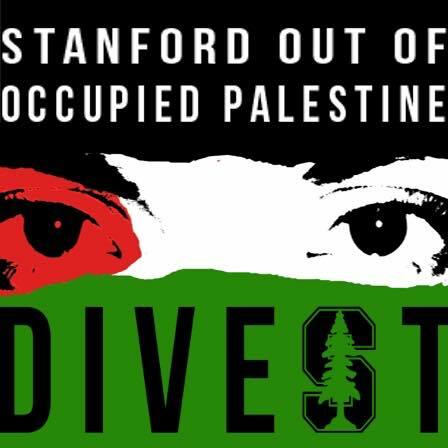 Stanford University’s faculty have a history of engaging in student-led divestment campaigns. Most recently, faculty members circulated a letter asking the university to divest from fossil fuel investments. In 1977, faculty also came together to urge the university to divest from companies enabling apartheid in South Africa. Students of SOOP come from a diversity of backgrounds and appreciate Stanford faculty members’ support of this particular campaign, especially considering the reprisal some faculty face by doing so. The campaign urges non-signatories to sign the petition. The bill asks that Stanford divest from corporations that profit from maintaining the infrastructure of Israel’s 48-year long illegal occupation of the West Bank, including East Jerusalem, and of the Gaza Strip, and enabling the collective punishment of civilians in those territories, as well as acts of mass incarceration, repression of unarmed protesters, and the denial of rights to work and economic well-being. To achieve this goal, it selectively targets multinational companies that violate international humanitarian law and human rights in the Occupied Palestine Territories and here in the United States. Companies like Motorola Solutions, Veolia, Cement Roadstone Holdings, Elbit Systems profit from constructing the physical infrastructure of the occupation, including settlements of Israeli Jews implanted in the West Bank, which violates Article 49 of the 4th Geneva Convention and UN Security Council Resolution 465 of 1980 (among many others), and a separation barrier that effectively annexes 9.5% of the West Bank, which a 14-1 vote of the International Court of Justice ruled illegal in July 2004. Lockheed Martin, Caterpillar, G4S, Defense Technology Corporation, and Combined Tactical Systems provide hardware and military equipment used to enforce the occupation, confiscate Palestinian lands, demolish Palestinian homes, and carry out acts of mass incarceration (over 800,000 Palestinians since 1967), transfer Palestinians outside of the West Bank, and impose collective punishment, which violate Articles 33, 49 and 76 of the 4th Geneva Convention. Some argue that the Palestinian-Israeli conflict is a problem of “multiple narratives.” But there is no question about the facts of the case at hand relating to Israel’s occupation of the territories seized in the June 1967 War — they are verified by internationally recognized sources such as the United Nations, Amnesty International, Human Rights Watch, Israeli Human Rights organizations like B’Tselem, and Israeli news sources. These facts support the international consensus that the Occupation is illegal and the actions undertaken by the State of Israel to enforce it violate international law. Therefore, Stanford must distance itself from them, as the Code of Conduct requires that, “No unethical practice can be tolerated because it is 'customary’ outside of Stanford or that it serves other worthy goals. Expediency should never compromise integrity.” We are asking Stanford to uphold its proclaimed values. We reject the notion that divestment unfairly singles out one country for condemnation. The enormous amount of US aid to Israel (at least $3 billion annually, more than any other country in the world receives) already makes us in the United States complicit with Israel’s actions. We equally reject the claim that divestment is a form of anti-Semitism or in any way directed against Jewish students on campus. Divestment is directed against the policies of the state of Israel. By supporting divestment, we believe we are doing what we can locally, within the Stanford community. We stand in the proud tradition of previous faculty actions, against the South African apartheid regime, against investments in fossil fuel, and others. We believe it behooves us as educators to not only train our students to be world citizens and world leaders, but also to mode ourselves actions that embody the best aspects of world citizenship, beginning with upholding international law and opposing those who do not.